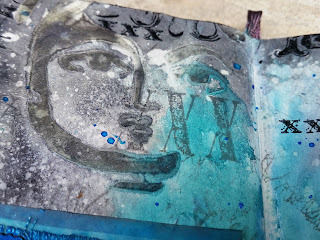 This is a page done in my mini moleskine art journal. It is the perfect size for quick art journaling. 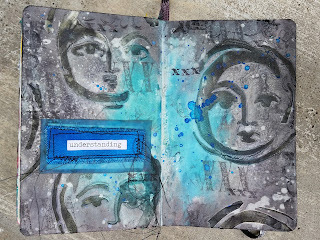 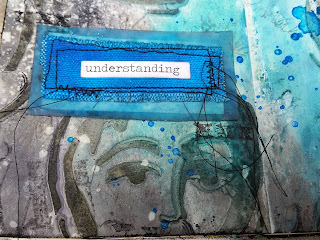 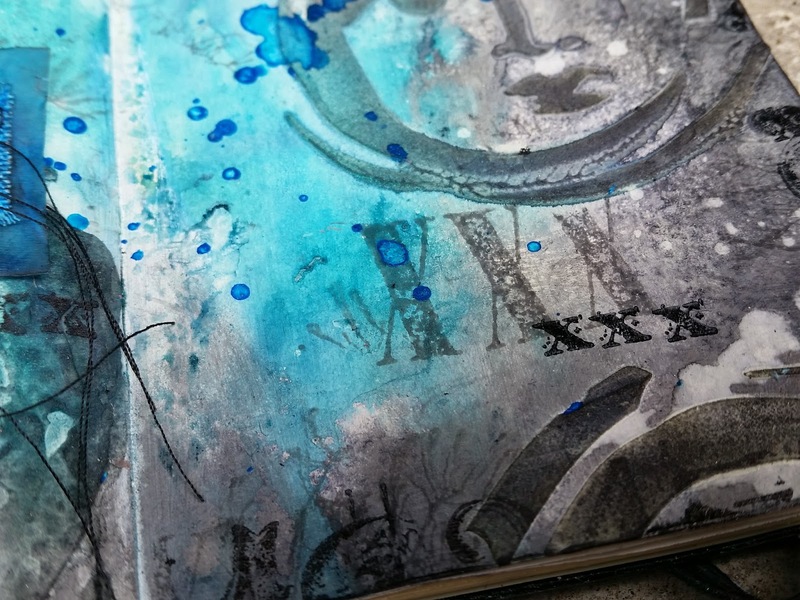 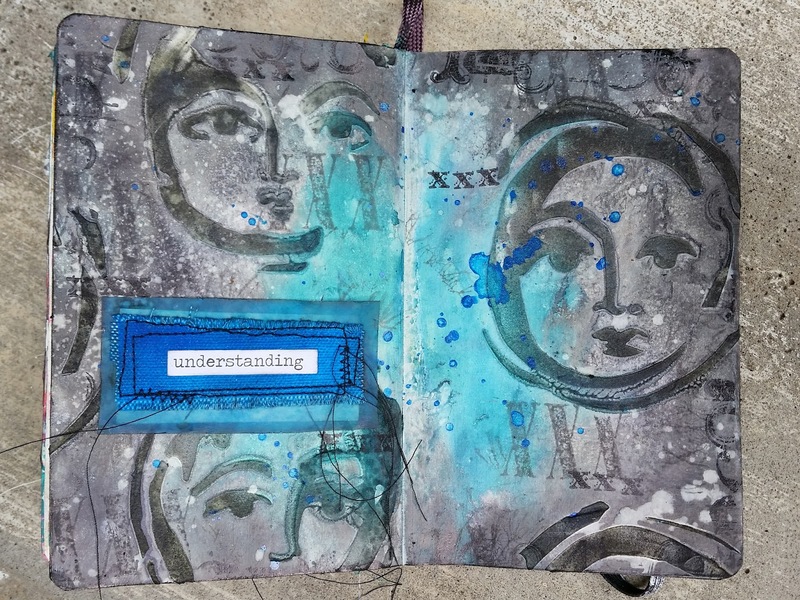 This page started out with modeling paste thru a Dina Wakley stencil and then some ink sprays. To see the entire process start to finish, check out my YouTube video which is below the pictures.